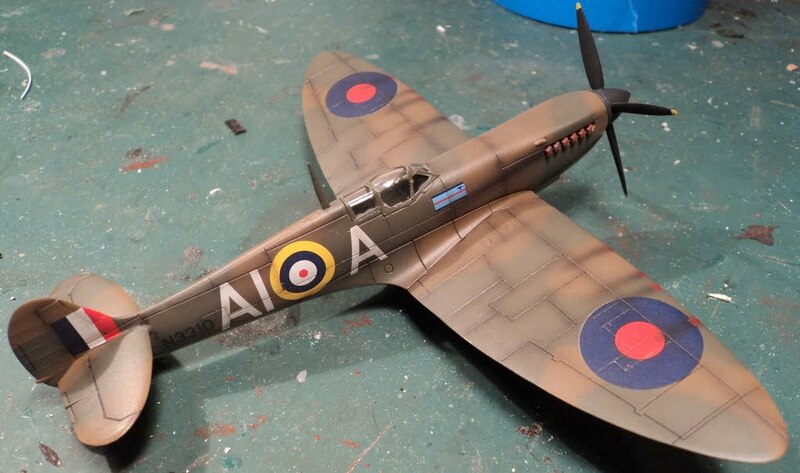 I recently completed Airfix’s new tool Spitfire Mk. IX, but with some unusual markings. Jennings Heilig had some decals printed for AI-A, a fictional aircraft used in filming the Battle of Britain movie. He offered them in 1/72, 1/48 and 1/32 scale. 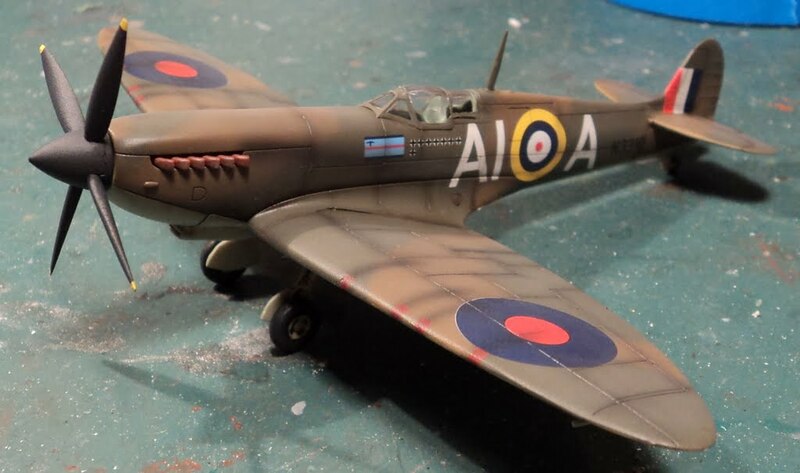 My friend Mike Grant had just sent me an Airfix 1/72 Spitfire Mk. IXc, so I thought it would be a perfect chance to model a bird from the movie. A few Google searches found some pics of aircraft from the movie, and before you could say “Mk. IX as a Mk. I”, I had the kit built! Neat little addition to the collection.